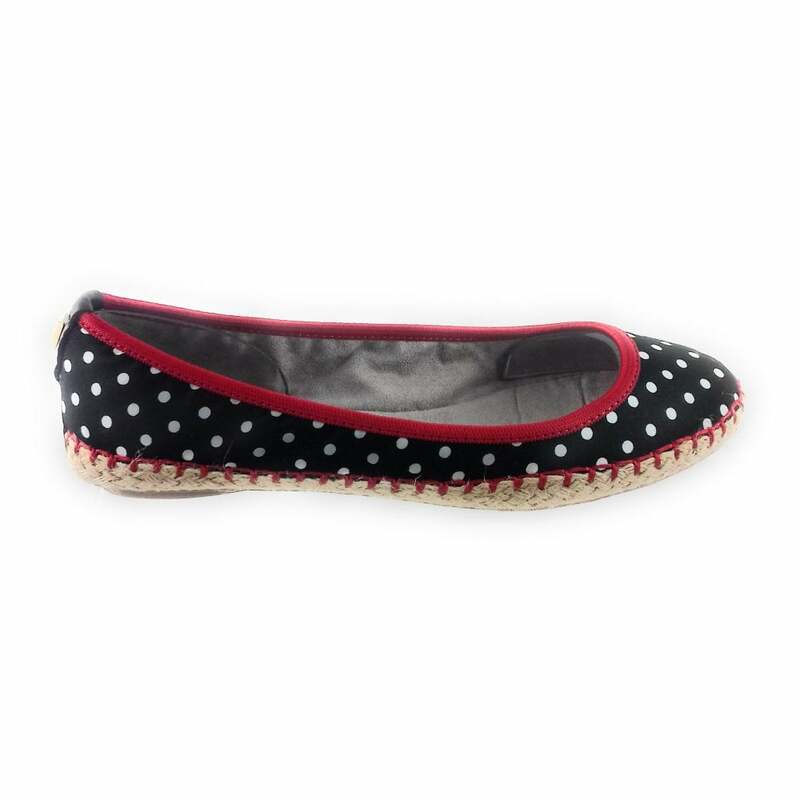 Step into summer with the Butterfly Twists espadrille Gigi. 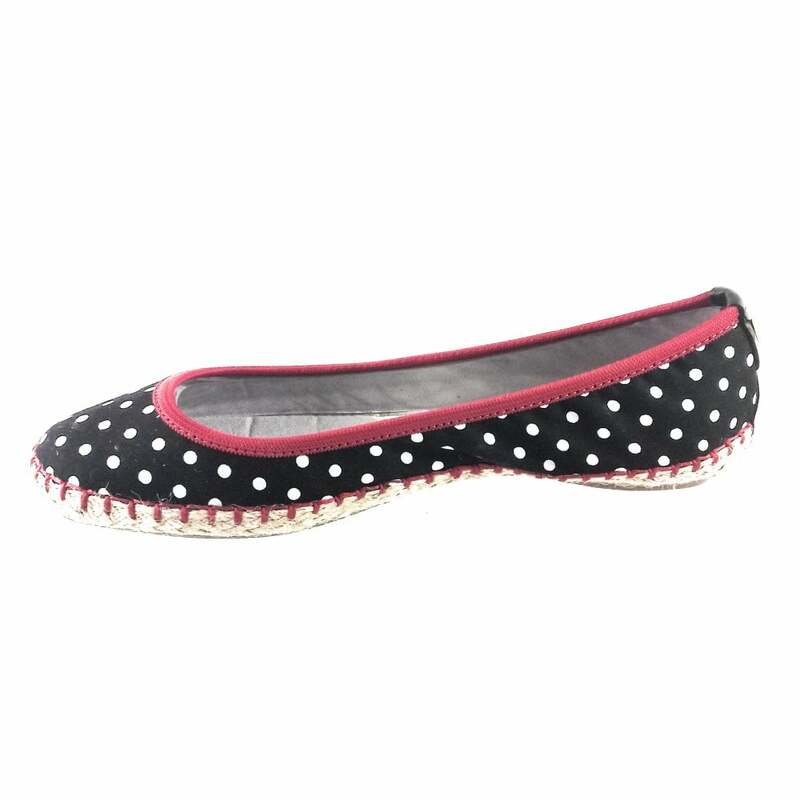 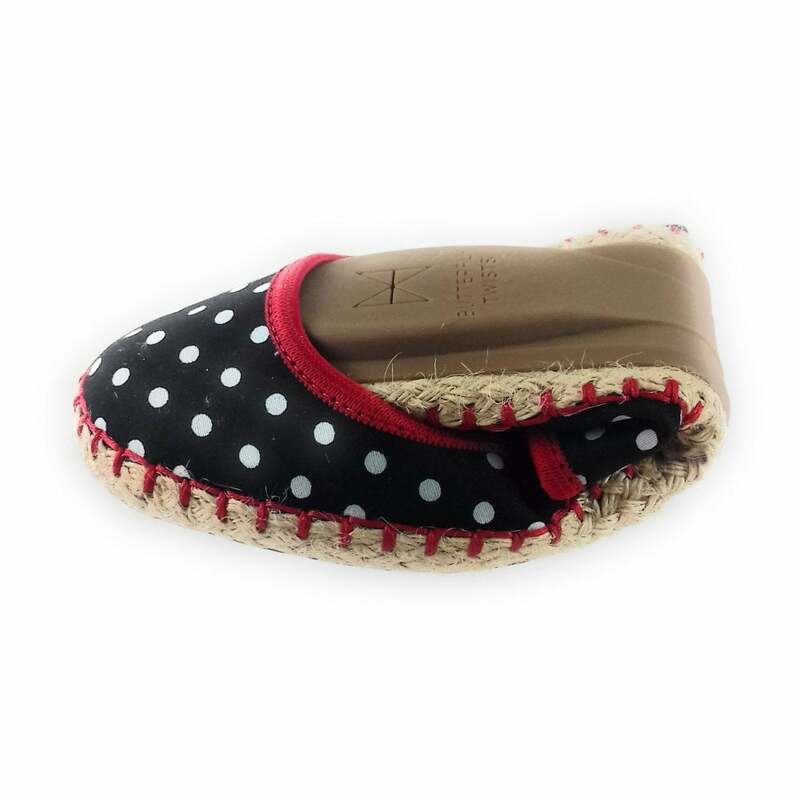 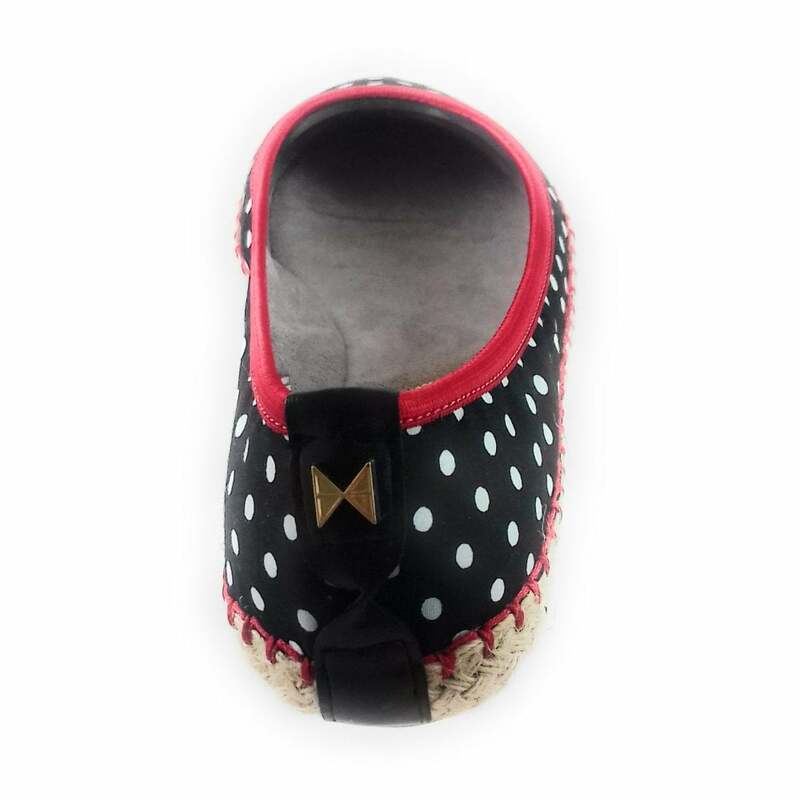 An eye-catching black and white polka dot canvas upper sits on a raffia jute sole. 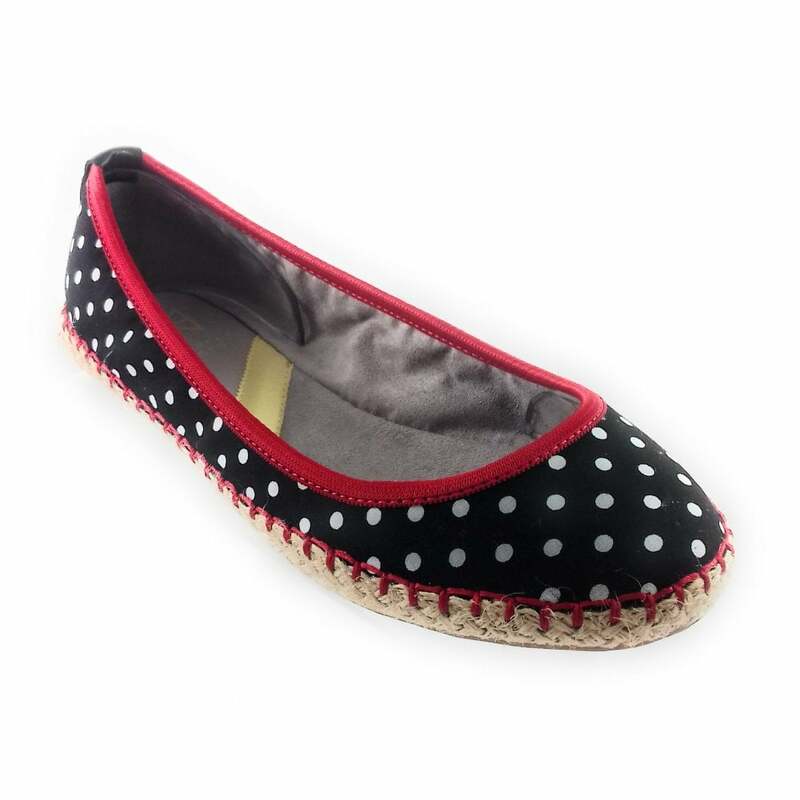 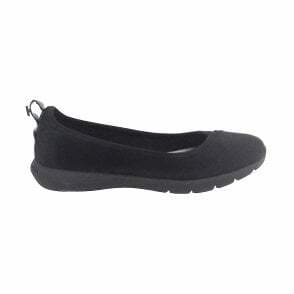 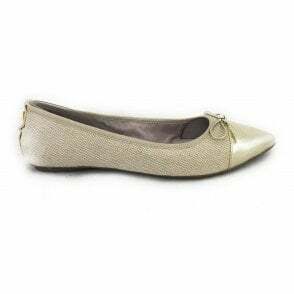 A holiday essential these ballerina pumps have a soft faux suede lining with memory foam insoles for maximum comfort. 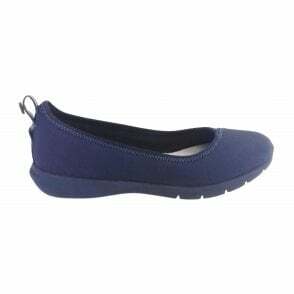 Twist tech technology allows these ladies slip on shoes to fold into themselves and are easily popped into your handbag.